Real estate firms are forced to sell smaller offices by dipping demand. Some of the prominent property developers like Wadhwa Group, Hubtown, Lodha Developers, Kanakia, etc. have started selling of their smaller office spaces. Smaller offices starting with 1000 sq. ft. up to the range of 2000 sq. ft. are often sought by professionals. This group of professional includes advocates, chartered accountants, and doctors. Wadhwa real estate developers recently sold over 500,000 sq. ft. of office space the posh Bandra Kurla Complex area in Mumbai. This space was sold in the latest Wadhwa commercial building One BKC. The group officials said that the area was bought by professionals and not by corporates. However Wadhwa is not alone to be affected. Other real estate developers like Lodha, Hubtown and Kanakia are also hit by lower demand. Corporate Companies and financial institutions showed lower level of interest in renting. Declining cash flows compel the real estate developers to sell out their small sized offices. The builders opt selling to generate steady cash. Lodha real estate developers sell out similar sized office space. The group has sold large amount of office space in their brand “Supremus.” The group is selling their office spaces mainly in four locations viz. Powai, Thane, Worli and Lower Parel. Hubtown is doing the same in Mumbai’s western suburbs. The group sold the office space in their two projects Viva and Solaris. Vijay Wadhwa said that the Corporates and Big Banks are not showing any demand. He pointed to the financial crunch faced by them as reason of lower demand. Wadhwa Group’s promoter continued saying that this is the reason why they have decided to cater the demand from the professionals. 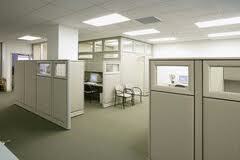 Selling smaller offices are looked as means to gain cash flow. This is done especially when there is a lower demand from bigger business. Ramesh Nair pointed to the reducing the floors to smaller sizes as a strategy of the builders. Jones Lang LaSalle West India’s managing director continued to say that breaking of the floors eases selling. From the words of Wadhwa’s CFO Srinivasan Gopalan the fact was clear that the developers are in need of cash. This might be either for personal needs or for grabbing the available opportunity. Smaller projects are provided at areas where there is an oversupply. Sanjay Dutt, Ex. M.D. Cushman & Wakefield pointed to Worli-Lower Parel belt and Andheri as examples of area with oversupply. Vacancy rate of Worli and Lower Parel is 20 % whereas in Andheri it is 24%. This is according to the latest estimation by Cushman & Wakefield. The firm had earlier noted that this was 14-15% in 2009. Analyzing the Mumbai real estate market Cushman & Wakefield had said in June that the rental would remain stable in the city. This will be resulting from the availability of space and higher supply. Meanwhile the developers use the fund rose from their selling of smaller offices as initiating new projects. Lodha group’s chief marketing officer Mr. R Karthik said this is similar to the residential sales. He also revealed the discomfort in collecting rent from large number of people. Mr. Srinivasan said because of the higher land price the builders have no other option to raise the fund. Without selling of these the builders remain unable to raise the needed fund for residential development. Wadha group plans to complete their project One BKC with the selling amount. This entry was posted in Real Estate News and tagged Cushman & Wakefield, Hubtown, Kanakiya, lodha developers, Mumbai Real Estate, Wadhwa Group by designer. Bookmark the permalink.